Note: A minimum quantity of 42 must be ordered, and in units of 6 thereafter. 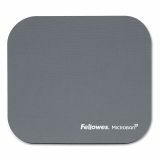 Fellowes Mouse Pad w/Microban, Nonskid Base, 9 x 8, Graphite - Skid-free natural rubber offers the perfect mousing surface for enhanced accuracy. Another important feature includes the built-in Microban antimicrobial protection. Microban fights the uncontrolled growth of damaging microbes, such as bacteria, that can cause product deterioration. 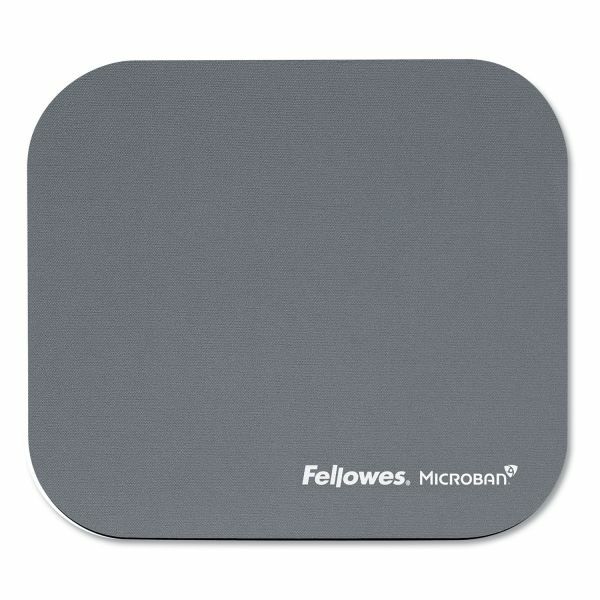 Long-lasting polyester surface stands up against everyday wear and tear. Provides superior tracking with both ball and optical mice, while protecting your desk surface.